The Life Application Study Bible is today's #1 selling study Bible because it helps you see how the Scriptures are relevant to today's issues. This commentary features nearly 10,000 Life Application® Notes and features to help you discover the truth of scripture, understand its relevance for your life, and apply it in daily living. It’s a unique resource that incorporates today’s top scholarship in answering your “now what?” questions. Book introductions provide vital statistics, overviews, and themes to help readers understand the message of each book. Personality profiles highlight over 100 important Bible characters and explain key lessons from their lives. Nearly 100 contributors and several renowned biblical scholars from various denominations helped prepare and review the study helps. Their participation assures you that all study helps are accurate and true to the Bible text. NOTE: This module includes the NOTES only, and does NOT include the text of the Bible. It may be used with the e-Sword translation of your choice. This is a Commentary module, with some Reference content. Click on the Reference Books tab and then on the pull down menu to see Personality Profiles listed there. Profiles of over 100 key Bible figures. Each profile contains a biographical sketch; a key lesson from that person’s life; and lists of that person’s strengths, accomplishments, weaknesses, and mistakes. Once again an easy to read production with some valuable insights into God's word. A valuable addition to any library. I have been wanting this for awhile now and finally got it. I am glad I did. Very good study bible. I love e sword products. Very easy to read and use. Life Application Study Bible (LASB) is the must for every person. I am using it more than 10 years and now I am glad it is available on Mac and also on android. I also do enjoyed downloading it and using on my KJam imate phone (old version). Thanks to e-Sword for availability of this LASB study notes. Very informative and an excellent help to sermon and Bible Study writing. Great commentary, in my opinion one of the best! Only downside is since it isn't verse by verse you have to figure out which verse is being commentated on. Other than that great for studying! I have been using LAB (Life Applicable Bible) since 1998. I read and trying my best to apply it in my real life. I used to note & type it down on sms (short message system) and send to my friends as encouragement dose. Now all that I have on my Mac, easy to copy and paste; easy to read as font size can be adjustable; and very helpful. I still wonder if "Index to Personality Profiles" is included into this package. If not I am expecting into the new version. As soon as I hit download the program was there. I did have to end the program and then reopen. I am now learning how to use the notes that I purchased but I like what I have seen so far.. It's a good study application in my New Testament study. I am just amaze on how much I'm studying the word God and using the life application to do a deep study of the word along with my other commentaries. Great product, very informational and great addition to my e-sword suite of books. Leading q women's Bible Study Group, I have found this to have very valuable information in it while searching different subjects. It has helped me to answer questions that they ask. I would recommend it. The notes are great and adding so much to our studies of Colossians. They are clear, understandable and loaded with meaningful information to help me guide our adult class into knowing Christ as Supreme Creator, the One who embodies the Godhead. I am newly acquainted with these materials NLT Life Application Studies: Colossians and Philippians , Ephesians and Galatians and was typing the notes until I saw eSword had them! WOW!! THANKS!!! Since Windows 7 and 8 came out I have been unable to use my Christian software. As a Pastor, now retired but still active, this has been a real problem to be able to paste good notes into my sermons or in helpful summaries for other people enquiring about Christian difficulties with Bible interpretation. Now with E-Sword and the wonderful products that you can purchase that work so well with E-Sword, I can work with Windows 8.1 and still produce the notes via E-Sword. Thank you. It is a wonderful tool for busy Pastors, who need to be able to print out Bible information to help others in their walk with Jesus Christ. I am a fairly new Christian (2 years). I have been studying using the New Living Translation Life Application Study Bible daily for 2 years because it made things easier for me to understand. This year I have started reading the NKJV but if a concept is a little confusing I turn to the NLT and the study notes. Thank you for helping a new Christian. My wife and I both use Life Application Study Bibles in the NIV and NLT translations and love them. I am a student at Lincoln Christian University which requires me to make in-depth Biblical studies, for which I use e-Sword. When I saw that the LASB notes were available, I jumped at the chance to slim down on space and weight in my backpack. The digital notes are the same as they are in print. I still prefer my actual Bible, but this just what I was expecting; not inferior except in layout, and the feel of paging through The Book, which couldn't be duplicated with the structure of the e-Sword program. In all other respects, it's the same. I recommend it. Excellent resource to e-Sword. It gives me a better insight to verse study. I recommend e-Sword to everyone. Thank you for such a great product. I do a lot of teaching and facilitating Bible studies. When I am preparing for a class, it is so convenient to copy and paste from E-Sword onto my presentation notes. What a time-saver from typing the material straight from my bible! I was introduced to this resource by a friend who was also excited about the convenience of using the program. Was she ever right! Excellent study guide, easy to maneuver from daily inspiration to bibe verses to commentaries to definitions. I love having so any translations available, while reading I cn simy flo back and forth between several translations. I hav recommended e-source to several people and will continue to do so. Very helpful in understanding OT. 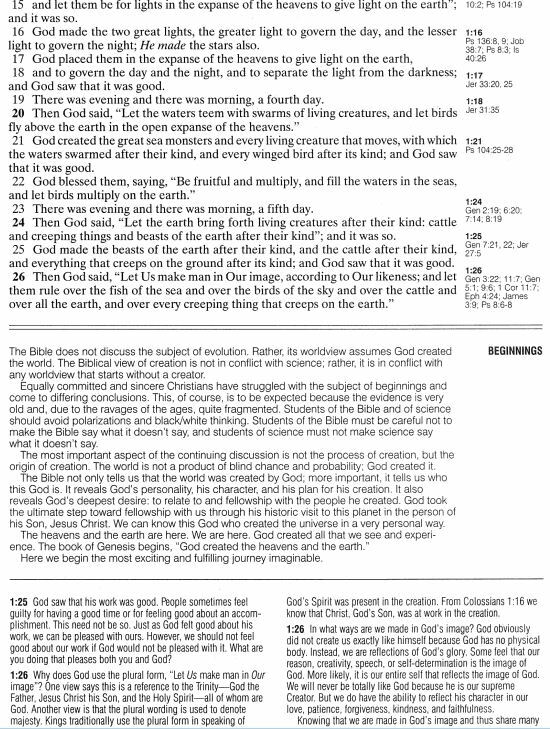 Use with the NT Application Bible Often gives quick understanding to a passage that other more detail commentaries pass over. Recommended for every series bible student. Excellent commentaries to help study and have a better understanding of GoMy Entryd's Word. thanks so much for having this available!!! This has been an excellent addition to my Bible study library. Very easy to understand. I am very happy with e study source. It is excellent to study and I shared the communion service a few weeks ago about Christian fellowship communion book of Acts 2:40 to 47 on life application study bible on NASB. After the church then people told me "You did a very good job". I was very pleased. I want to say thank you for this and I am very appreciated. God bless you. I recently loaded e-Study onto my pc and have been thrilled with the application. I teach a Sunday School class and e-study has been a great help in lesson preparation. I recently added the Life Application Study Bible Notes to my e-Study library and have found it to be a great help. All of the Bibles and commentaries in e-Study are excellent and so easy to use. I am anxiously awaiting e-Study for android! Thanks for making this great tool and these great resources available. God Bless you and your ministry! I am using the Life Application Study Bible for years and find the notes helpful during verse studies. To have it available electronically is convenient and most helpful. Life Application Commentary is a well balanced and awesome commentary. It clearly presents the Truth. If you are preparing a devotional or practical application sermon - this may be your first stop. This tool focuses on ways to apply scripture and does it very well. I would heartily recommend it. I feel so blessed to use e-sword as a learning tool to learn more about the Bible. The Life Application Study Bible notes contain excellent, bite-sized insights. They're good for personal devotional study as well as preparation for sermons or Bible study sessions. One of the best bargains available for e-Sword. Thank you for having this awesome resource at such a low price I have been Blessed with this and all the other resources I have purchased before.. God Bless you.. I was a little disappointed that there aren't more comments on various scriptures. (Only reason I gave it 4 stars.) It does say "Notes" in the title, I should have known. I have the book form of the Life Application Bible Commentary for the New Testament so am a little spoiled by full content. I am not sorry I purchased the "Notes" though. Still able to get good thought provokers. I love Life Application's application. :) So any of their books are always a welcome addition. e-sword has really been a blessing to me! For studying, there is no parallel, and though I am not pastor nor teacher, every christian that want to grow needs to have a tool like this. There are so many features that i don't even know which one to mention. The LASB is providing me the understanding and knowledge whether I'm having my personal devotion or deep study of the Bible, whenever and wherever. With it I'm becoming more enthusiastic in reading the Bible and being apt to share the gospel to other people who needed to hear them. It's a tool that helped me grow tremendously as a believer and as a minister of the Word of God. 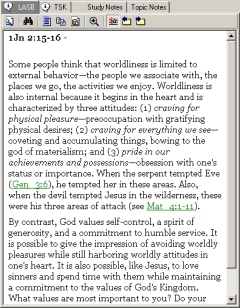 The Life Application Study Bible Notes for e-Sword has been the most enlightening addition to my E-Sword program. It is written in such a way that it is very easy to understand and apply. The Life Application Study Bible Notes have become a very helpful tool in helping me understand and apply bibblical truths to my daily life as I read through the bible each day searching for my nugget of truth. I am so blessed to have the LASB notes on my laptop and computer. I've an online ministry and people Skype-call me or email me with questions. Now I can quickly go at e-Sword and find the right answers, instead of taking the big heavy bible study book with me wherever I go. I thank eStudySource for this precious resource. e-Sword is a real blessing for Gods Kingdom and for every believer who want to know more of who God really is. The maker of e-Sword and all around him, are really Blessed and I keep you all in my prayers. I know you all are so Beloved in God's eyes. Very relevant and easily applicable. My sole compliant is that i had expected more background to what the notes extrapolated from the Word. I was hoping for a quick summation of the original relevance to the original audience before the modern interpretation. 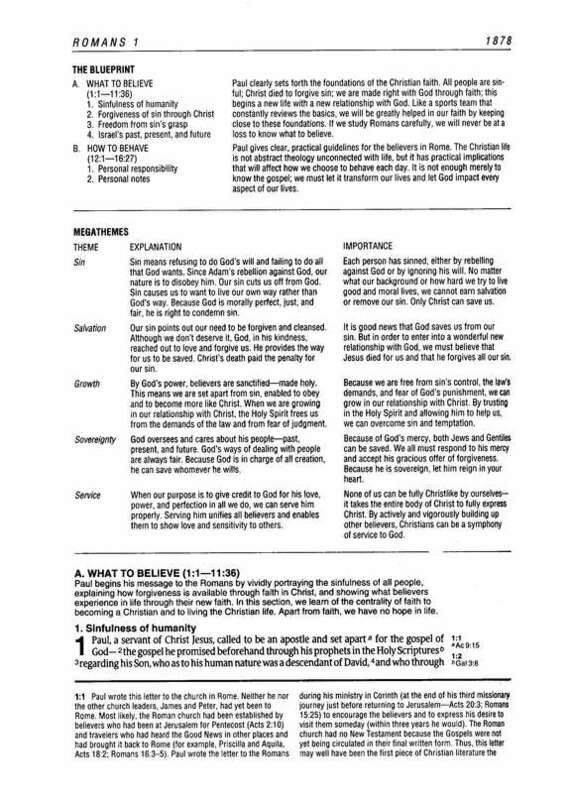 The life application study bible notes has been useful for me in my laptop as I use it to prepare some of my sermon notes and personal learning. It also saves me some convenience since I need not bring along a thick life application study bible. Many of the applications are useful and can be applied to our culture and the struggle we face in our lives today that God's truth is still relevant to us today in many ways. Awesome! Really like how the LASBN makes things clear. I am very pleased with the Life Application Study Bible Notes, I truly have all that I need for effective study with out the help of the internet. Yes internet has good results, but there are a lot of times when you are places that you don't have access, and this program along with all the other tool from esword is truly worth the investment. So if you want good study any time and any where, download the extras and use them to your advantage. It is great for new belivers as well as Pastors and Leaders. Thanks eStudySource - it is well worth it. I am enjoying the use of LASB. It is user friendly and boy do I need user friendly. I enjoy eStudySource materials everyday. 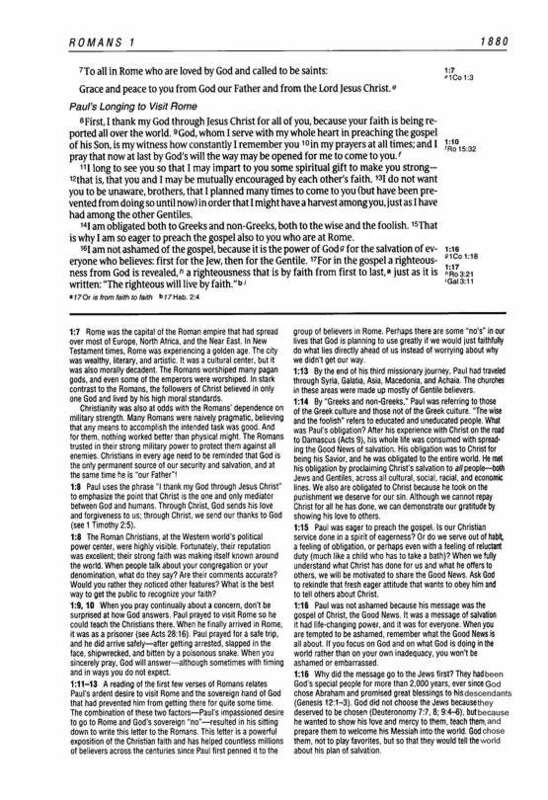 I love to study God's word and this web site along with all of the study guides are a great help to me. I like particularly about LASB that it is simply stated, short and to the point. I have a NIV Life Application Study Bible (LASB) so that is what I am using as a comparison. The LASB is absolutely fantastic! It has been indispensible for me and my walk with the Lord. It has SO much information (footnotes, Book outlines and themes, character profiles, etc.) that it, just as its name suggests helps me to apply God&rsquo;s Word to my personal life. The best example I can give is when I am reading a Scripture text and I ask &ldquo;What does that mean?&rdquo; or &ldquo;How to do apply this principle to my life?&rdquo;, then right down in the footnotes, there&rsquo;s the answer! It&rsquo;s awesome! This product has the same footnotes and Book outlines and themes as a LASB, so it&rsquo;s really useful in answering the questions I noted above. The best part is that it is part of eSword! So, now I have the footnotes with me on my computer. Plus, and here&rsquo;s a surprise I learned this morning, you can format them so they aren&rsquo;t as small as in a LASB, and that makes them much easier to read, and easier to read means easier to understand and apply to my own walk. Great insight for the verse by verse information contained in God's Word. Concise, clear facts from God to each of us who read and study His word, who might not connect the information from God. Very understandable in a few words. Easy to follow the writer's train of thought in the verses covered. As a teacher of Preaching courses in the former Soviet Union I highly recommend to my students that they use this resource to stimulate their own thoughts for application of Scripture to their lives and to the lives of those who hear them teach and preach. It is an excellent resource for anyone who is serious about taking his Bible study to the practical level of application. Try it and you will love it. I do. The Life Application Study Bible is a treasure every serious Bible student should have. Once you start to use it you can't see yourself doing without it. A great aid and tool for learning and spiritual growth. Love it! As I find with most e-Sword and e-Source materials, they are easily downloaded and seamlessly installed. This is a a quality downloadable publication with clear notes that fully expound what the verses have to say, with the added bonus of e-Sword's readily accessible cross referenced verses. All in all I have no hesitation nor reservations in recommending this at all. The whole concept of the publication is that it is something ever growing. Absolutely fabulous! i bought this module from estudysource.com and it's worth it. Thanks for this wonderful software. Looking forward to a long association with you. Be Blessed.